Throughout the month of December, Giant Tiger in Trenton sold ornaments for $2 each that were used to decorate their angel tree. 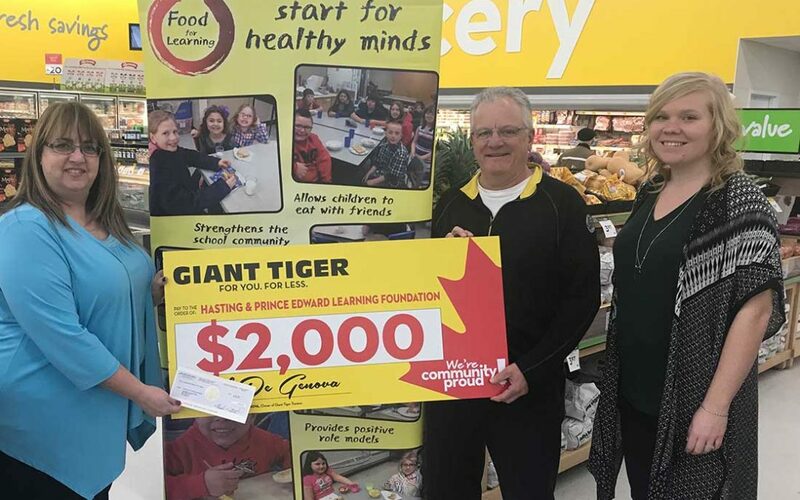 This year, Food for Learning was selected as the charity to receive the proceeds of this initiative and on February 12, Rod Degenova presented a cheque for $2000 to Kellie Brace and Vicky Struthers. These funds will be used to support student nutrition programs in Quinte West. Support Food for Learning and receive news and updates in your email. Unsubscribe at any time.